Its almost surreal, like waking up from a dream, or like I'm living two lives. Having spent so much time here, growing up, maturing into the person I am today. I've had many first time experiences here, such as buying a car, and living out on my own to name a few. Its different this time though, I'll be home before I know it. Unlike before, when I didn't know when I would next step foot homeland. After being cramped up in the plane for twelve hours I was sent out into the orderly chaos known as Japan. Bombarded with all different pings, pongs & buzzers informing you of incoming planes & trains. I grew accustomed to the various noises when I was living here, but had forgotten them since. It almost feels foreign now, being thrown back into this plastic, futuristic, bustling country. Devin is in the air, on his way to the Kansai Insternational Airport in Japan! 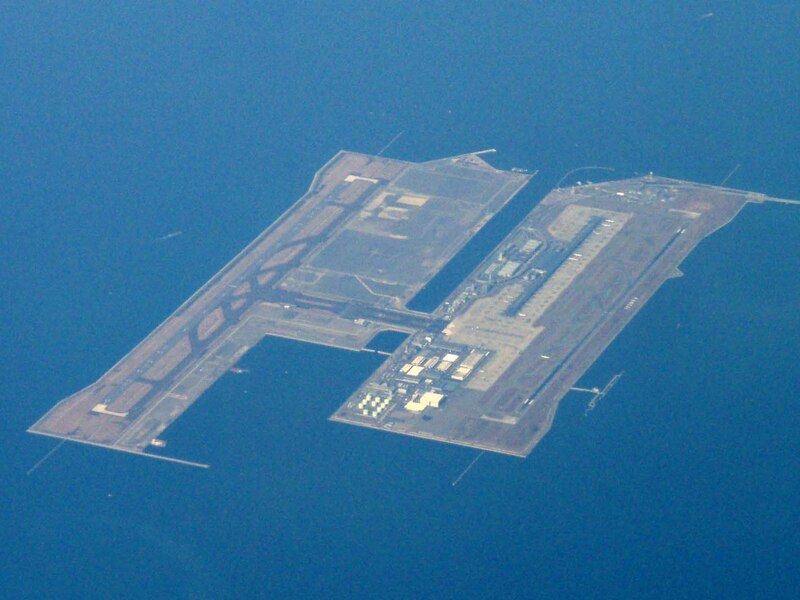 A special man made island was built to house the Kansai International Airport right in Osaka Bay. Currently, the island is 4.1 square miles in size. Planned expansions in the future will increase its size to over 5 square miles. Here is the concourse, it is the longest one in any airport in the world. Last weekend Devin traveled to San Antonio for the Texas Koi and Fancy Goldfish Society's 18th annual Koi Show. He gave a talk on living in Japan at the Marudo Koi farm. Hobbyists from around the area brought their Koi fish to the show. "Join to learn about Ponds, Koi, Goldfish and Water Gardening"